It's starting to feel like winter and all we all want to do is be curled up in fluffy blankets, cradling a mug of hot chocolate, in front of a roaring fire and watching reruns of The Great British Bake Off. Whereas we're actually still heading into the office, the only difference from summer being that now we turn up wrapped from head to toe in all our clothes. With the windows shut and the heating switched up high it's that time of year again when we can't escape the dreaded colds and flu flying around, so we end up home anyway but this time with lemsip and a banging headache. That's why this week we've got tips to help you stay healthy in the office this winter. Firstly we've got some great tips from the NHS to help you stay fit and healthy through all those cold months until Spring. Did you know that the more you exercise the less likely you are to get a cold. Regular exercise helps to boost the immune system . 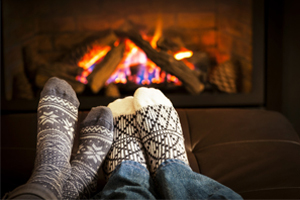 Did you also know that you're 80% more likely to get a cold during winter! The cold weather also makes us want to eat all the time to keep our bodies warm. Try to remember to still eat healthily though, by including lots of fruit, veg and milk in your diet. It's important to make sure you're getting all the right vitamins to fight off those nasty colds. It's not just what we do for ourselves that keeps those colds at bay, it's also our office environment that can help or hinder our immune systems. We've found some office tips that work for the employers and the employees out there. Firstly go out and buy a plant for your desk. 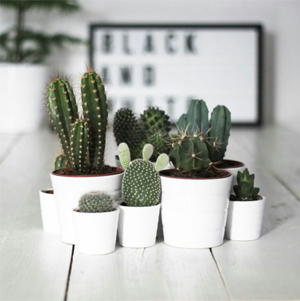 We recommend cacti because they need so little care and look great all year round. Not only will you have something to gaze at when you're looking for inspiration but you'll also be decreasing the amount of carbon dioxide in the room and fighting of bacteria without even lifting a finger! If you still aren't convinced then have a look at this article, which gives even more reasons to have plants in the workplace. It's also really important to sit comfortably and we know all about sitting right! Therefore we suggest the Axia Smart Chair to make sure you are feeling at your best. Have a look here to find out more about it. Not only is it important to sit right but it's also important to move too, the Axia Smart System will help you remember to get up and get active every 30 minutes. Have a look at the stats in the article at the end of this section to see what a bit of movement could do for you. Lastly it's really important to think about all the places where bacteria collects. For example did you know that in a 2008 study it showed the average keyboard to be dirtier than a toilet seat! Another study has also shown that 90% of mugs in the workplace are coated in germs. So get scrubbing to keep that harmful bacteria away. If you'd like more detail on these points then have a look at this article. ...or not as the case may be. 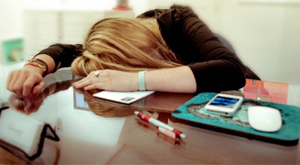 It turns out that almost a third of employers have reported an increase in their staff coming in to work unwell. It's really important for businesses to put employee wellbeing above the importance of operational demands and deadlines. Not only are staff less focussed when ill, but they could also infect their colleagues causing less productivity across the whole company. If you'd like to read more about this and the studies that prove the facts then have a look at this. 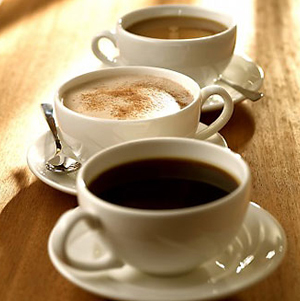 Drinking coffee with our friendly dealers. More importantly I am there to help the dealer network, whether that be with projects, product knowledge, presentations, samples or anything they may need assitance with. I worked in Business Development for a Tea Room and Patisserie (I ate lots of cake and drank lots of tea). Ras Al Khaimah, more specifically the resort where I spent my honeymoon with my wife. Almost anything, probably also when I should not be laughing. I once won "The Apprentice" although it was only part of a competition at College loosely themed around the famous BBC show and not on the show itself. 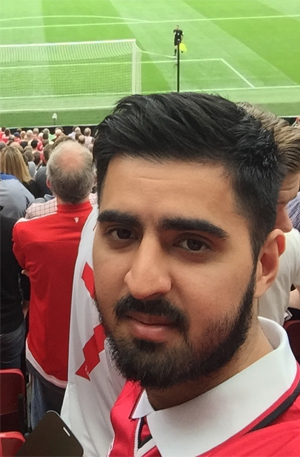 If you want to know more about Zohaib's role here at Nomique then feel free to ask questions in the comments below. Also please follow us on our social media pages to keep up to date with all things Nomique.